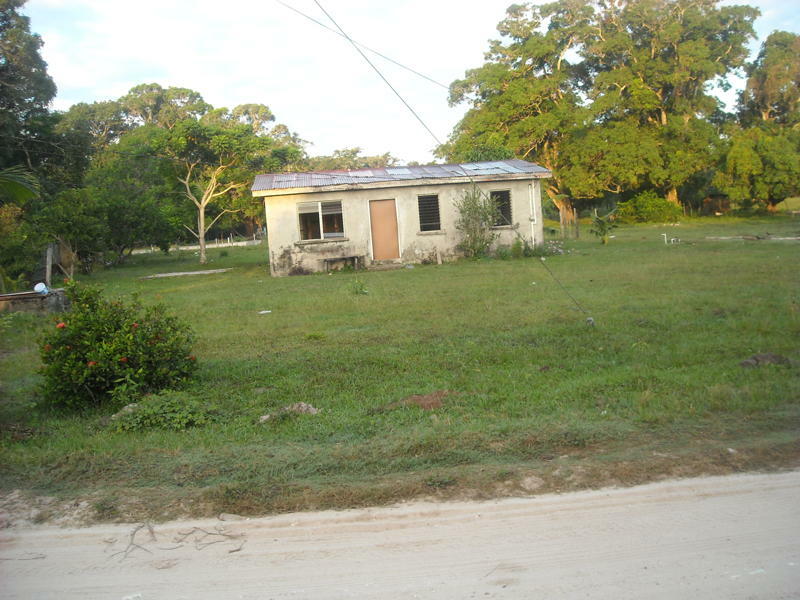 The home of Matilda Adolphus for over twenty years before the destruction by Muriel Tillett family on Nov 12, 2009. First it was the fence around the property, then the windows. Disagreements and conflicts are a fact of life within communities and societies, and for the people who live and work in them. Disputes may be between neighbors, public government agencies or private industry. This is the story of one such conflict. Rochelle Adolphus, her three brothers and a sister have lived on the seven acre ancestral land of her parents' in Crooked Tree Village all their lives. Her house is surrounded by beautiful mango trees, avocado trees, oranges, and a large open field. Now it seems that they are about to lose a portion of the land that generations of the Adolphus’ have been occupying and living for over one hundred years. (Top)Rochelle Adolphus, (L-R) Charles Adolphus, Horace Adolphus, and Walden Adolphus: The sons of Josiah Adolphus. Many years back the patriarch of the family, Josiah Adolphus invited his sister Edith Adolphus Rowland to live on the land with him. Although Edith was told she could live on the property until she died, her daughter, Muriel Tillett is now claiming a portion of the land 32 years after Edith’s death. In 1937 after living for years on the property, Josiah Adolphus purchased the land from Ann Henrietta Tillett Gillett. This was before his sister Edith came to live with him on the land. 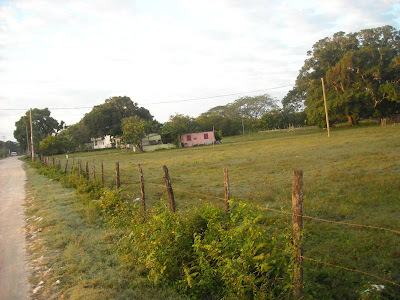 The deed was issued in the name of Josiah Adolphus from the government of Belize for the parcel of land shown on the Registry map and was given a Registry number. 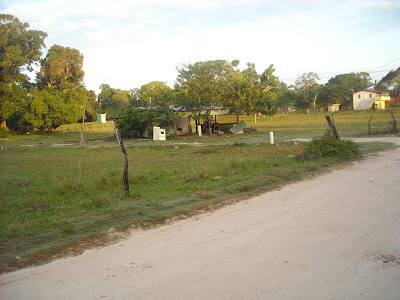 Over all these years, the government registry for lands in Belize has records documenting Mr. Josiah as the owner of the property. How is it that 32 years after the death of Edith, Josiah’s name was removed from the files at the government’s registry? The house of Rochelle Adolphus behind the mango trees. The bar of Kenneth Bruce, the grand-son of Josiah Adolphus, he is been evicted from the Adolphus land also. 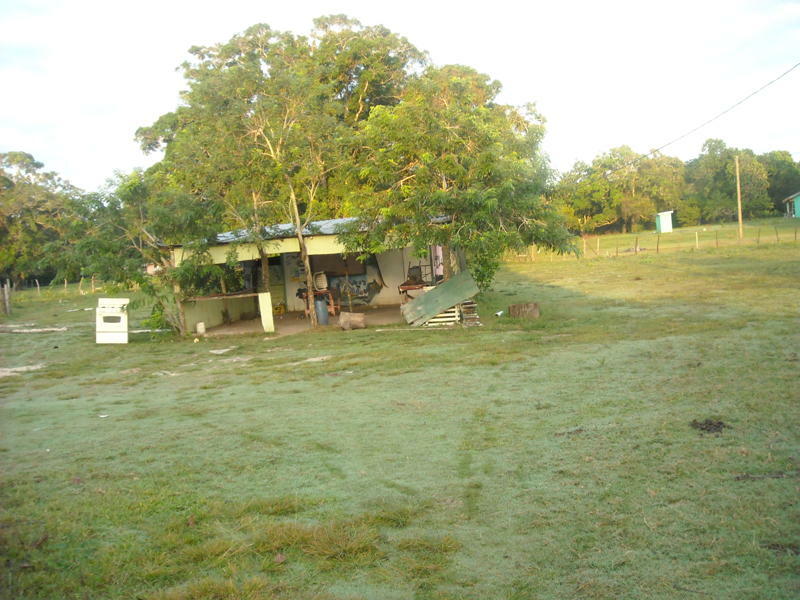 Muriel Tillett, the daughter of Edith filed trespassing claims in the Supreme Court of Belize against the children of Josiah and the judge handed a portion of the land over to her. Muriel Tillett, the daughter of Edith claimed that the land was given to her mother and they have proof that it was subdivided in 1947. Rochelle Adolphus, the daughter of Josiah said “the land was never subdivided in 1947 or any other time by anyone. She said that after her father died in 1966, Edith and her family started to claim the land. The Tillett family said they have papers to the land, but ten years ago, there was no paperwork showing them on the land. Everything on their paper work is a lie; the Adolphus family is the owner of the land. And the land was handed over to the Tillett family illegally”. 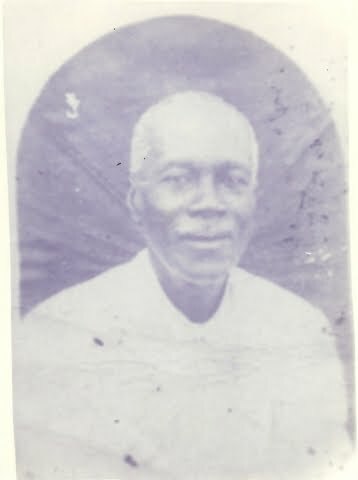 Horace Adolphus, the son of Josiah said “In 1937 my father Josiah bought this land cash and it was deeded to him only; all the papers were in the government registry in his name. What I do not understand is why the government cannot protect land owners. Why are these people taking over? If the land was subdivided to them, why did they allow my brother Heckland Adolphus to build his house forty one years ago and my sister Matilda over twenty years ago on the land they are claiming. In my opinion, they are not telling the truth, something did not go down honestly! If I’m the owner of a property, in no way would I allow anyone to build on it”. The issue that is of great concern is the portion of land they are claiming has a permanent structure on it. The home is occupied by Raquel Gomez, the great-grand-daughter of Josiah Adolphus. This house was built twenty years ago. 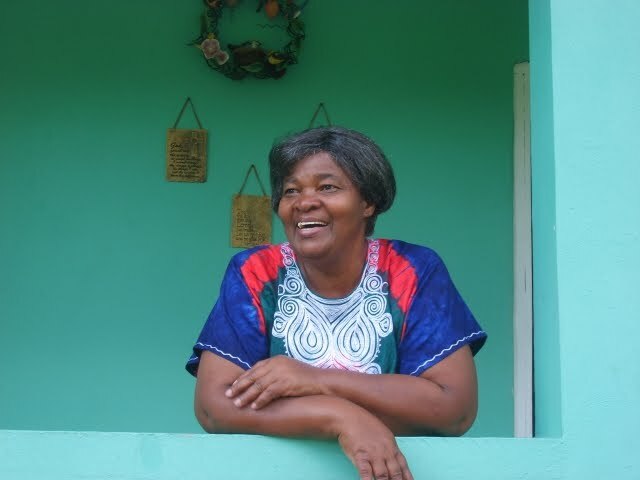 Raquel, a single mother, was forcibly evicted from her home and many of her personal belongings were burned or destroyed on Thursday November 12, 2009. The majority of villagers in Crooked Tree Village is in an uproar over the decision and has come out to demonstrate in support of the Adolphus family. I would like to know what happens when removal of records are made under the Government’s watch? 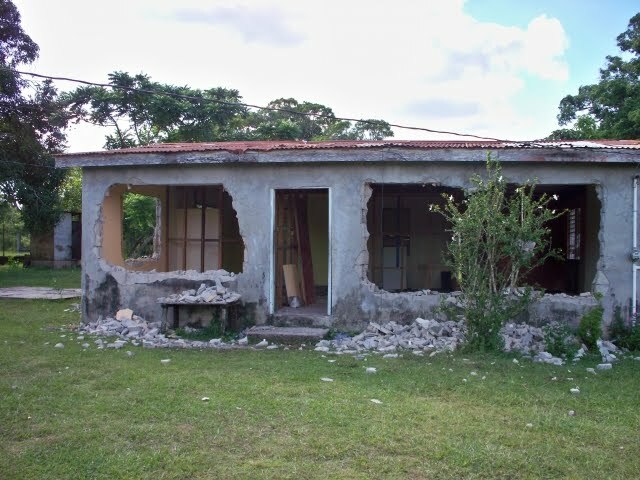 I can speak from experience that this is not the first time that land mis-deeds happen within the Department of Natural Resources in Belize. 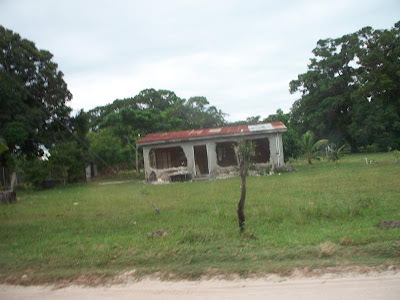 The only way to stop these kinds of illegal activity is to have real land reform in Belize. This is so sad. Those people have been living on those land way before I left Crooked Tree. Muriel & her family have no right. But I guess that's what happens when you try to help some people out. The government is so messed up. Look how many people's life they've destroyed over a little extra money. Like what they always say, what goes around, comes back around ten times worst. If you have a piece of land in Belize like I do, what can we do so that the Belize Government won't give it away? 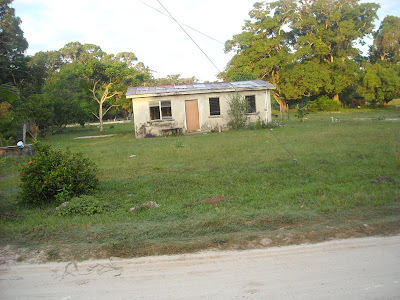 It seems like anyone can claim your property in Belize if they really want it! I cannot believe what is happening in Crooked Tree Village. This is very sad, I feel like I lost a piece of my heart and my family roots. This house has been there since I was a little girl,now I won't be able to show my kids where I came from and that to me, is so sad. 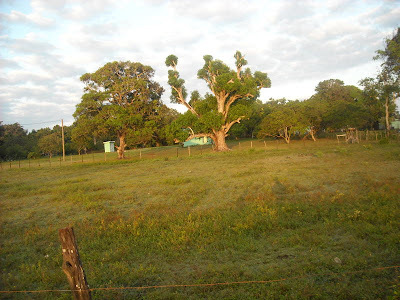 Why couldn't something be done to exchange the small piece of land that the house is sitting on.When I think about going to Crooked Tree this is where I go.I hope that a compromise could still be arrange so that we get our land and house back. I feel so lost; I will keep on praying!!!! Karen Tillett Jones,grand-daughter of Matilda Adolphus and great-grand-daughter of Josiah Adolphus. I went to Crooked Tree yesterday and my heart goes out to the family of Mrs. Matilda. The house she and her children worked so hard to build was totally wrecked. As people who say we believe in God there could have been a little compromise to allow this family stay in their home. But I encourage the family to take heart and leave this in God's hand. He is the final Authority!! In regards to the conflict I am dismayed at he actions taken in removing this family from the home they called home for so long. I say that if the Tillett family didn't do anything when they were building the house then if you snooze you loose. It's time for peace not time for piece let go and let God. Let them have the home and there's enough for everyone. If we die today we can't take it with us so let's live in peace and let's make peace. Life is too short our brother Hubert was killed last month in Hattieville last month. My other brother was killed in Belmopan by the people who were sworn to protect us in September 21, 1999. These brothers of mine were the great grandsons of William Tillett and sons of Salomon Tillett born and raised in Crooked Tree. Let's be blessed, because blessed are the peacemakers for they shall be called the children of God. I am a child of God and I strive daily to make peace with everyone. It's not easy yet, nothing beats a failure but a trial. I can't believe people are still fighting over land in Crooked Tree. I have no idea who is the owner of the land, but from what I can remember growing up in CT Mr. Jo and Ms. Evie were always living there and Ms. Edith in the corner. Why couldn't the Tillett family get the portion that Ms. Edith was living years ago and settle this whole issue? And the next thing I would really like to know from the Tillett family, if you guys owned the land from way back in the forties,why didn't you bring the authorities and your title in hand and stop the construction of the house, even if you were living in the states it could have been done. It seems to me that after more than twenty years, you could have work out a deal and let the house remain there on just the immediate land around the house. This is a hard lesson that everyone from Crooked Tree Village could learn from. People, get your land issue straighten out!!! Such a shame this whole issue!! This is so sad to see and hear that something like this is happening in our beautiful village. I remembered that we always use to refer to that yard as Big Joe. I remembered that Ms. Edith used to lived at the end of the yard and that Heckland built his house to the back. Horace built his house by the road in front of Ma Haze yard. I also remembered that Uncle Winston and Mrs Alma Adolphus Crawford used to live in a house close to the gate where a pear tree used to be. All the houses that I can recall was built in that yard were from Big Joe children. I hope justice will prevail and everything in this ugly matter will come to an end. With all this going on I think it would be a good idea for all of us who have houses and land in Belize to get the proper and legal documents, so our future descendants don't have to go through this ordeal after we are long gone from this earth. This is Really Sad! These people lives have been tarnished. They have lost everything that they've accumulated over the years. Life is a struggle; it is not an easy thing for these people to start over again. I cannot Believe what it has come down to. But every Bad Bull has its own Day! It is always a pleasure to read your village viewpost, it is educational and Belizean. It is so sad to know that this kind of feuding never stops and all because of the sloppy work that the land's department does. I hope this does not end tragically. I pray that God opens the eyes of these families; we are only stewards of His land. All things belong to Him and created for Him. What a shame and disgrace in the hearth of our beautiful Village of Crooked Tree!! I would have never,ever expect something like this to happen in our own back yard. From the time we were kids growing up, we use to pass through Aunt Evie's (she is not my Aunt, but she treated the kids passing through her yard so nice, that many of us called her aunt)yard and she never one day stopped us. She was always laughing and cracking some kind of jokes with everyone; now these people from no where want to come and act like Sheriff Brown and try to run things by stopping people from passing through the yard. Those people have never ever lived on the Adolphus land. Is this how it's going to be? You can't trust your family? Muriel and her family have and always lived at the Stain Area of Crooked Tree Village. I don't even know if they use to go and visit Ms. Edith, because I remember when Ma Edith was on her dying bed, Ms. Joycie use to be the one taking care of her with the help of surrounding neighbors. America deported the majority of those people, so now they want to go run things in Crooked Tree, excuse me!! Come on, the village is all family; is this the example we're setting for our future generations? But as they say, cow kno whe fi go rub de bottam!!!!! This is definitely an Interesting and motivational article to read after realizing the need of passionate village officers in my own community. We are living in a political age where everything is politicized, and society does not realize the tragedy they put their community in. Development and increase in Economic opportunity is needed, and most elected village councils are now only elected because of political power, defeating the purpose of a Council. I aim to make a difference. I’m glad the now elected officers do too!! I am the grand-daughter of Josiah Adolphus and I'll comment from the perspective of my memory growing up in Crooked Tree Village. From the moment I could remember from my mother and all my uncles and aunts, this land was never spoken of belonging to anyone else but Josiah Adolphus. It is true that Aunt Edith lived in the corner of the property as long as I can remember, but my grand-father and family members always said that Aunt Edith can and will live on the property until she die. Until today, I have no problem for the grand-children of Aunt Edith inheriting the portion that she was living on. But that portion does not include the front of the property. The destruction of the house where Matilda Adolphus and her children and now grand-children lived for over twenty-three years is totally uncalled for. Why didn't the families along with their attorneys come together and negotiate before totally uprooting and destroying the home in such a violent manner? This land was awarded to them by the courts, but why didn't the judge give the occupants of the house time to negotiate? Raquel, the grand-daughter of Matilda Adolphus was told she had to vacate her house by 4p.m on the day her house was destroyed, and by 2p.m. the gang was there to throw her out and burned many of her personal belongings. People it's an acre and a half of land! Can you take it with you? I'll leave the last word to the Almighty. This is unlawful and illegal!! Where is the law?